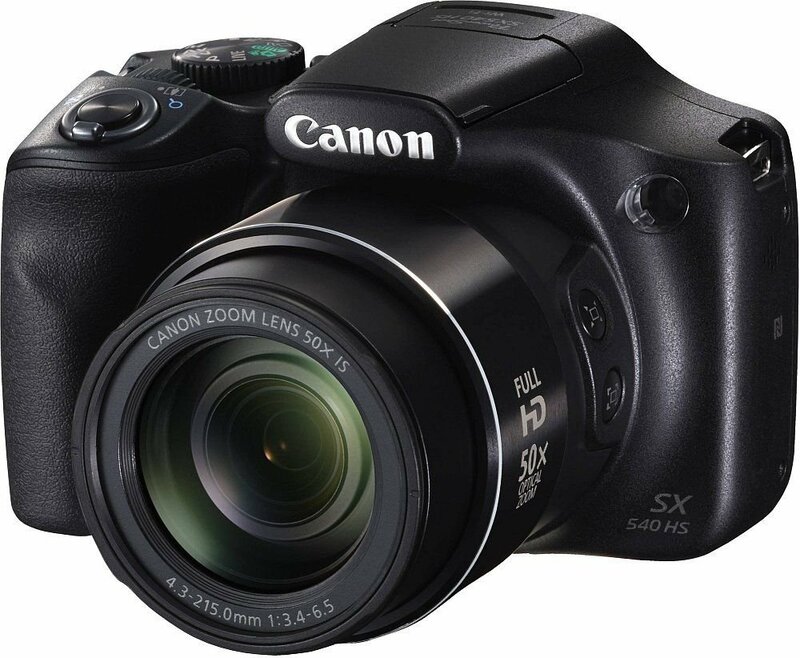 Characterized by its long-reaching zoom, the Canon PowerShot SX540 HS digital camera is also benefitted by the inclusion of a 20.3MP high-sensitivity CMOS sensor and DIGIC 6 image processor to realize notable image quality, sensitivity to ISO 3200 and 5.9 fps continuous shooting, as well as the ability to record full HD 1080p video at 60 fps. The 50x optical zoom lens covers a 24-1200mm equivalent focal length range, spanning wide-angle to super telephoto perspectives and an intelligent IS image stabilization system supports this range by minimizing the appearance of camera shake when shooting both photos and movies. Balancing this extended reach, an ergonomic body design incorporates a large grip for further stability, as well as a large 3.0-inch 461k-dot LCD for composing imagery and reviewing photos and movies. Additionally, built-in Wi-Fi with NFC allows you to wirelessly share your imagery directly to a linked smartphone or tablet. For queries/assistance please contact the brand support no. :1800 208 3366/ 1800 180 3366.